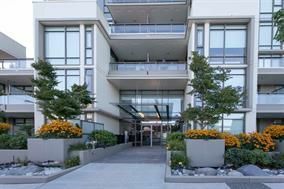 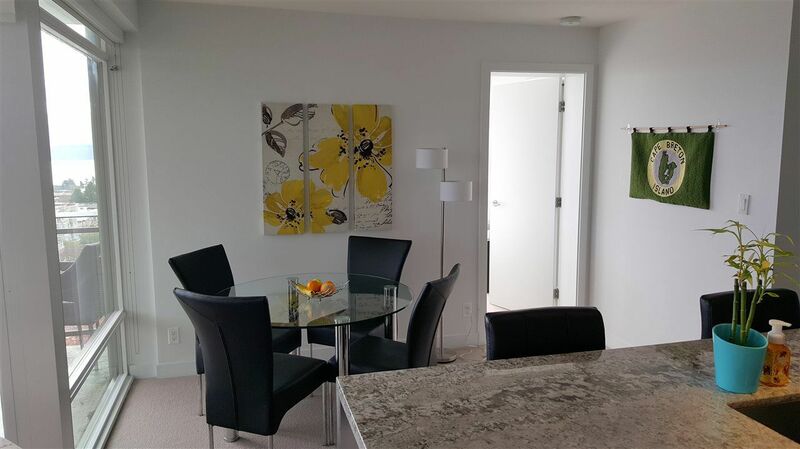 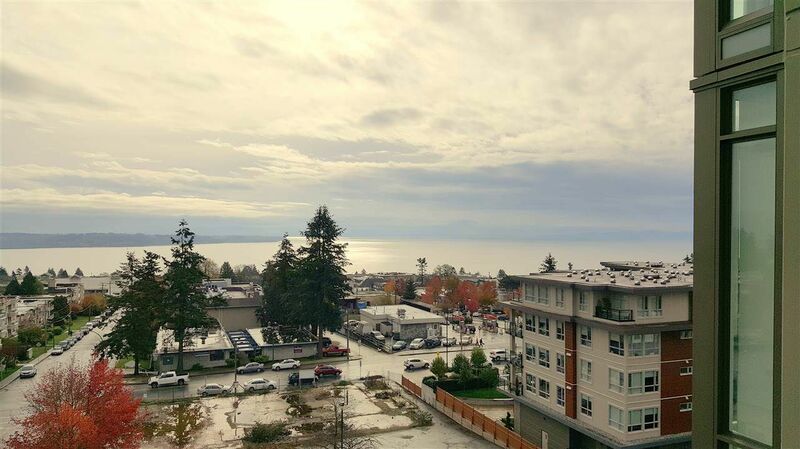 Welcome to "AVRA" The High rise concrete building winner of the Georgie Award, just steps away from scenic walks to the beach, restaurants & more! Enjoy from every angle of this S.E. 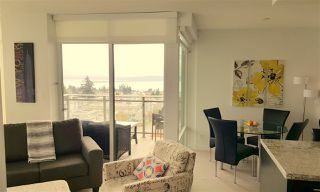 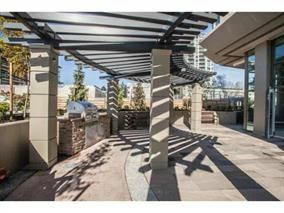 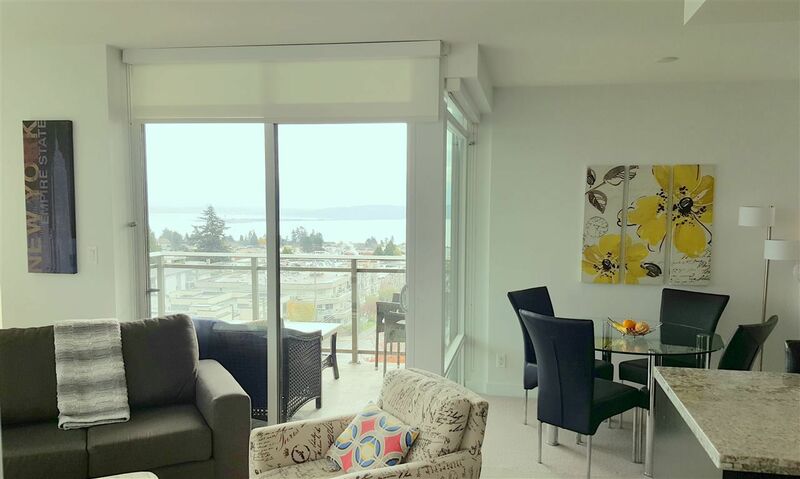 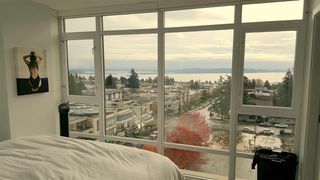 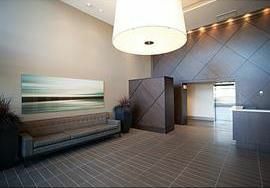 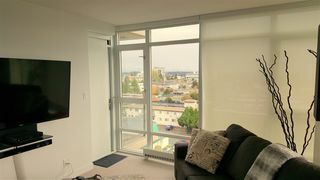 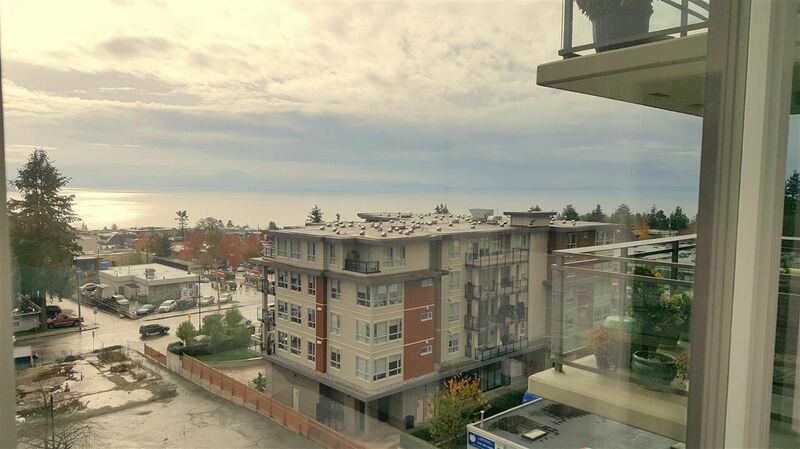 corner unit Stunning views of Semiahmoo Bay, Mt. 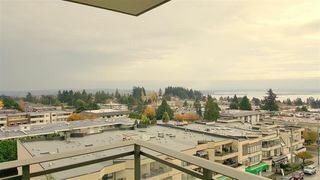 Baker, Garibaldi Mountain & the San Juan Islands. 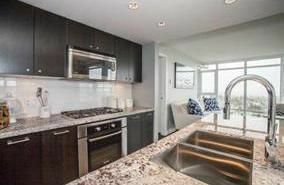 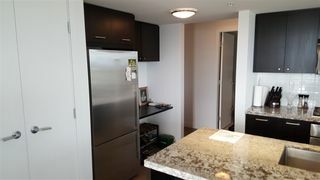 Open concept gourmet kitchen with cappuccino cabinetry, granite countertop, s/s appliances and large breakfast bar. 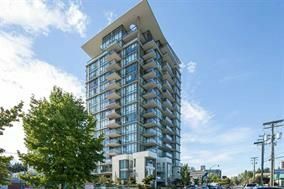 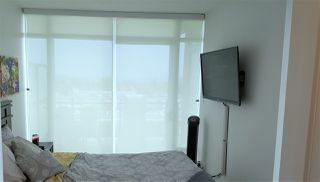 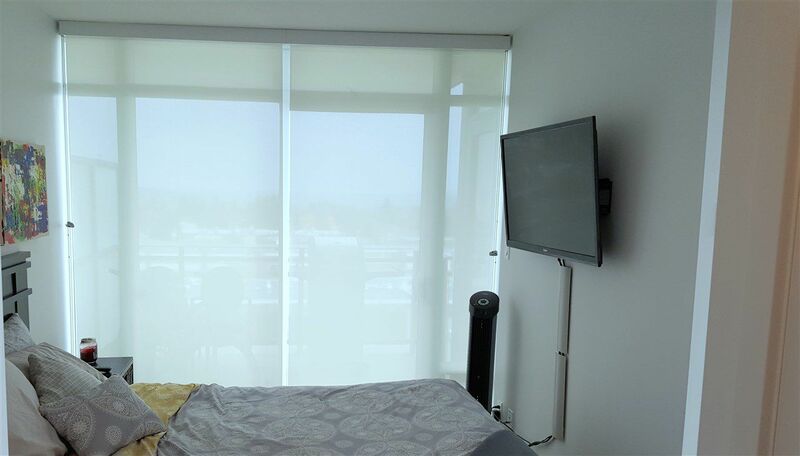 Floor to ceiling windows, 2 balconies, dream master bedroom with luxury en-suite with seamless glass shower. 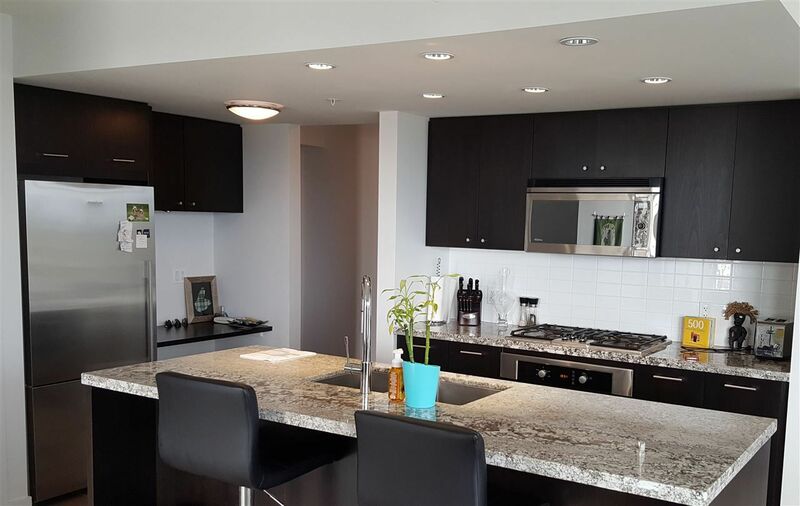 Over 915 sq ft of luxury living: granite counter tops, Fisher Paykel refrigerator & much more! 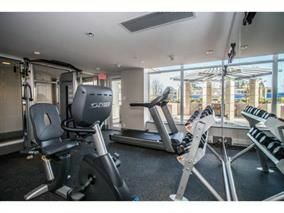 The building includes hotel-style amenities: fitness room, party banquet room with full Kitchen & BBQ terrace, landscaped courtyards and Guest suite.